The TKA was formed in 1983. 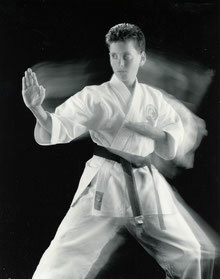 It's chief instructor, Chuck Kerrigan, began his training in 1965 and currently holds a nana-dan (7th degree black belt). Our primary program is teaching karate as it was meant to be taught -- as an exercise and self-defense. In July 2017 the TKA has partnered with Mumon Karate, headed by Sada Honda, to form the basis of the American Budo Consortium (ABC). ABC is associated with the Nippon Budokan (Japan) and this union brings together the two most experienced & senior Shotokan instructors in Western PA. Our purpose is to expand the understanding of BUDO KARATE & its difference from Sport karate. From the beginning students' first class, they are immersed in new and exciting methods of self-protection. Students are taught skills of body language, subconscious danger signals, and anticipating dangerous situations. As well as traditional Shotokan basics, kata, & sparring. The Japanese language, culture, & etiquette are also part of our classes. If you are interested in karate's relevance to your life in the real world. If you are looking for enthusiastic, well trained instructors who are able to bring out the best in you as an individual. 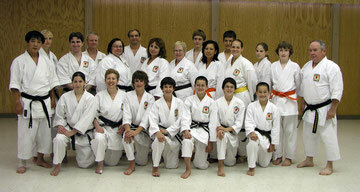 All classes are taught by Certified Black Belt Instructors with 25+ years experience.